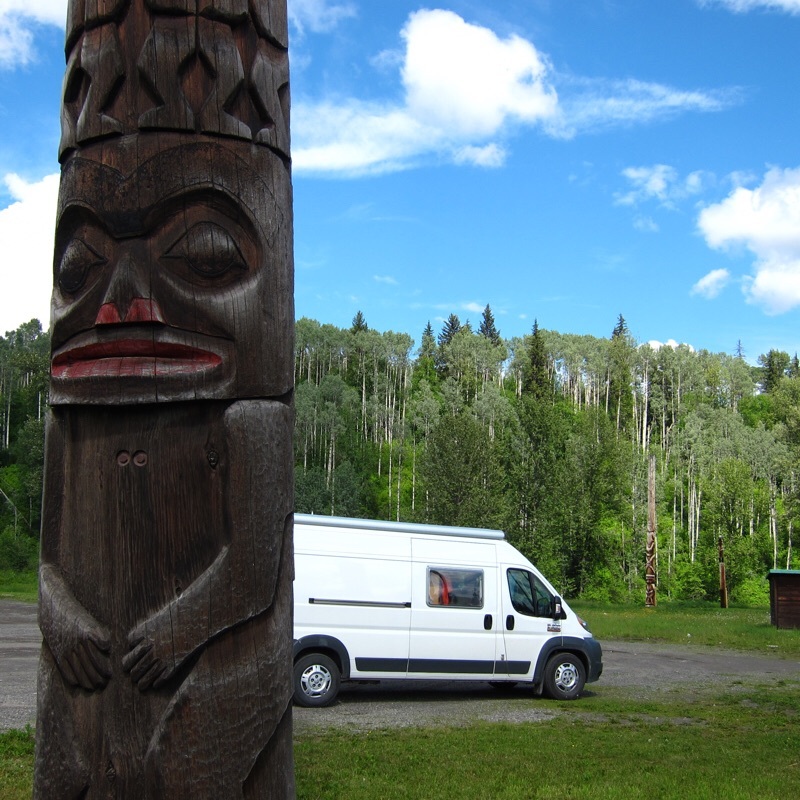 We are in northwest British Columbia making our way north on the Stewart Cassiar Highway, which is one of the lessor traveled routes to Alaska - our kind of road, plenty to see and do - but without the traffic. We've had one rainy day and it's cooler than we'd like, but the sights and people have been great. 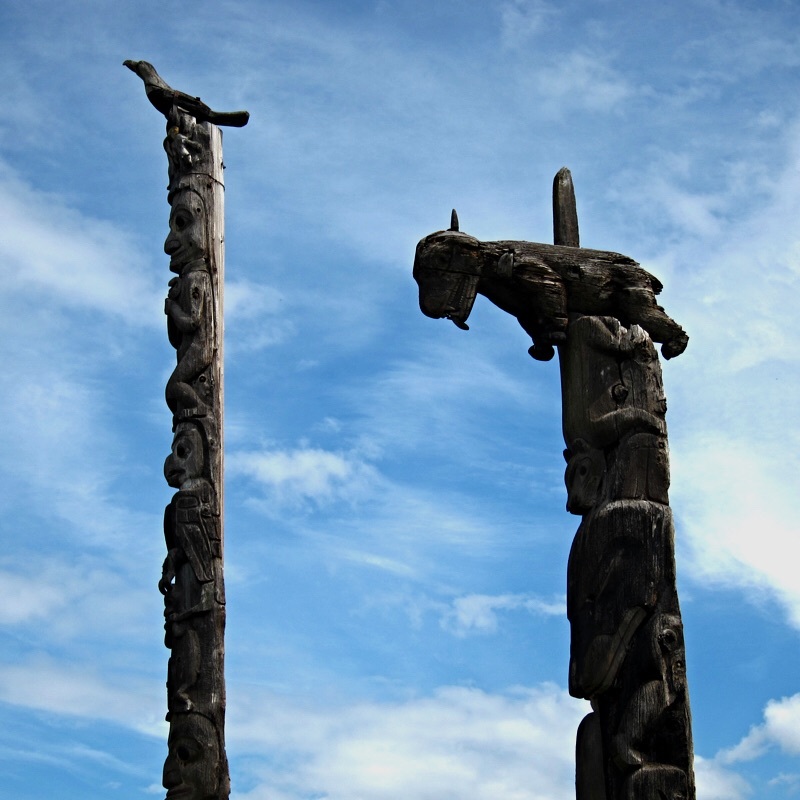 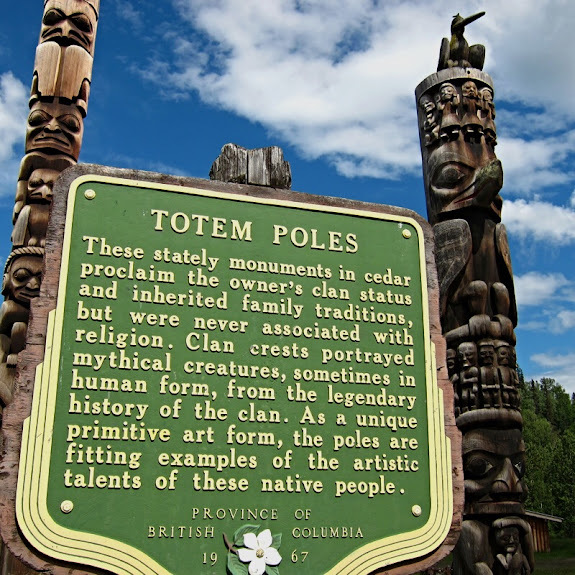 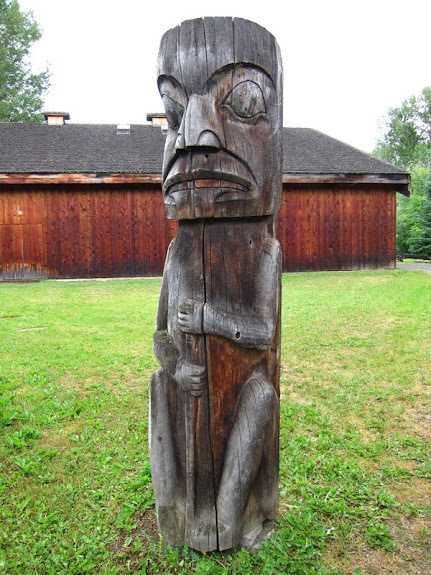 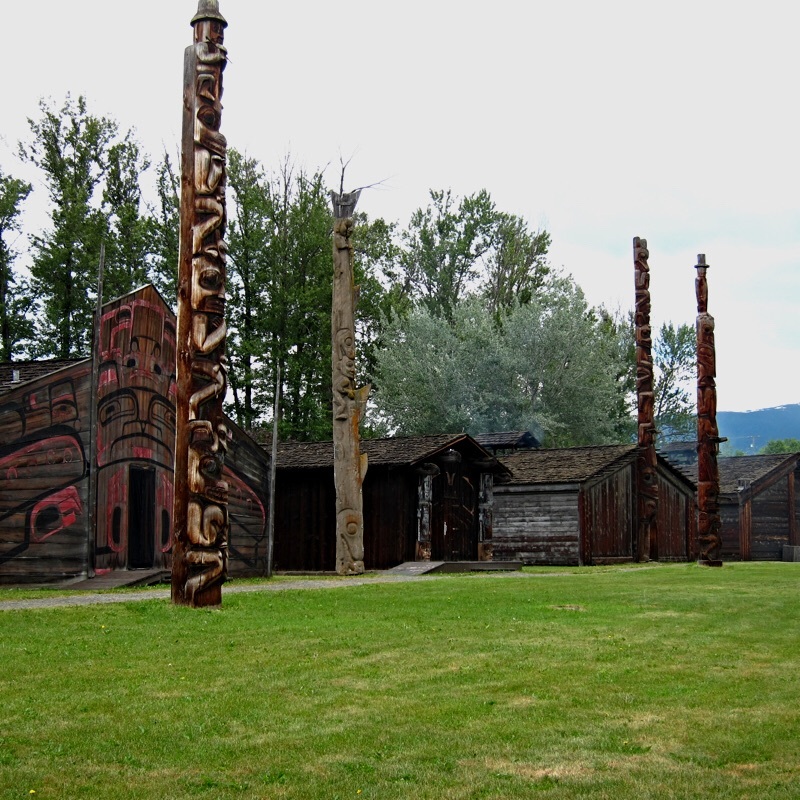 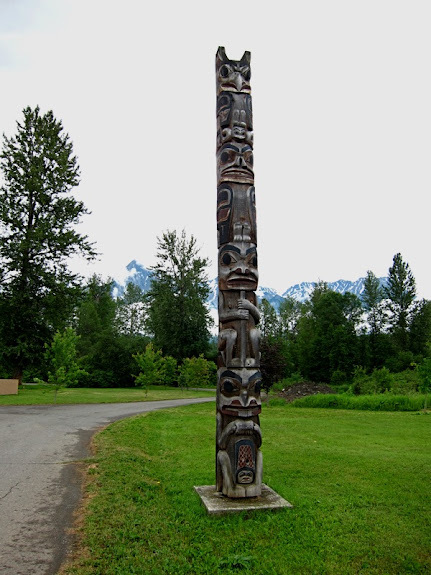 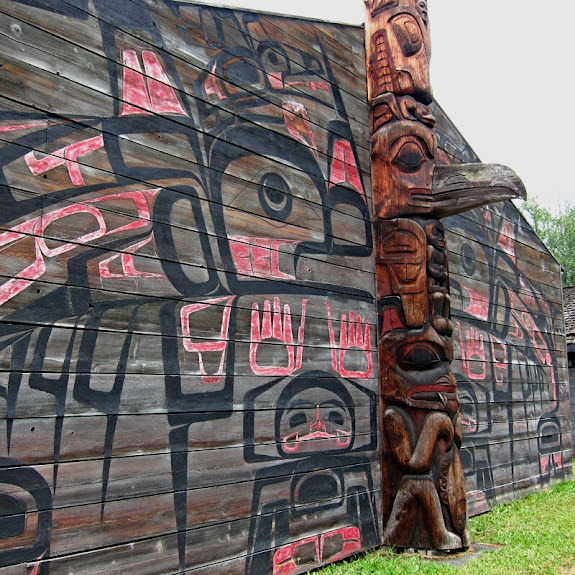 We stopped at a farmers market (bought some meat and had lunch), then a reconstructed Gitxsan indian village, but spent most of the day hunting down old totem poles. 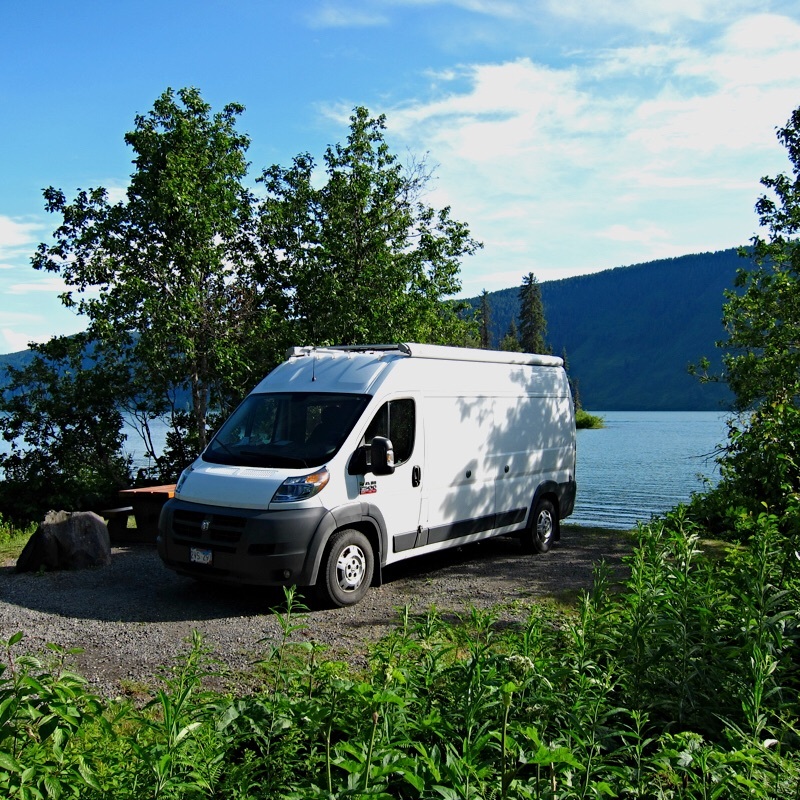 After a long day we managed to find another great lakeside campsite - all is well. 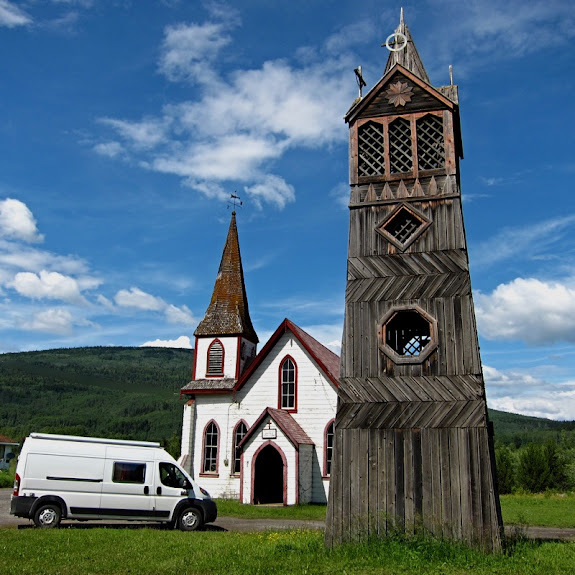 Also happened upon this old Anglican Church and it's even older (1880) wooden bell tower.